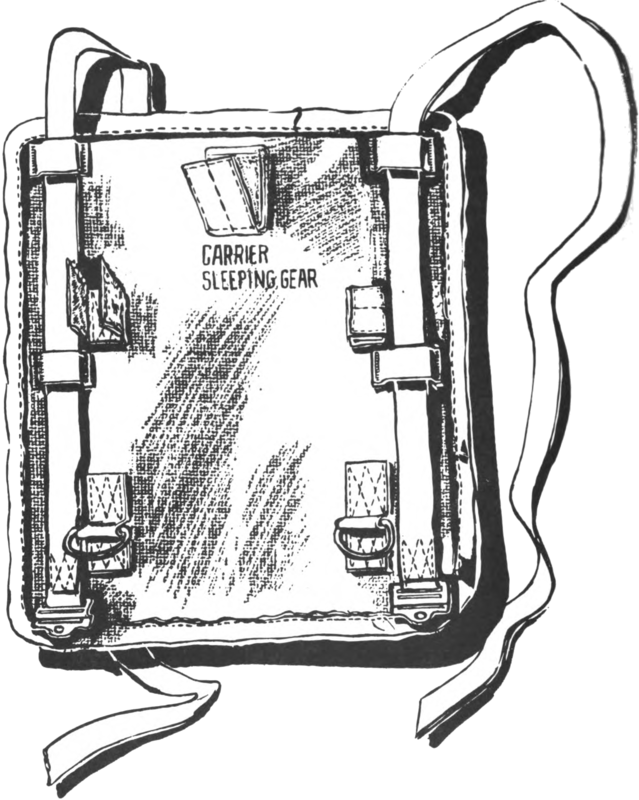 The carrier is 14 inches long, 12 inches wide, has straps with buckles closure for securing the sleeping bag. It is fabricated of Army shade 106 olive green, water repellent treated, 7.25 ounce nylon duck. It is designed to be attached to the belt by a hook and pile loop fastener, or to the back suspender shoulder strap hooks by D-rings and to the back suspender extension straps by hook and pile loop fasteners. LP/P DES 18-67, superseded by MIL-C-43731.